When I swapped out my Shindo Allegro preamplifier for ATC's internal preamp running direct into the power amp, things got only better. While music now sounded slightly more forward, it also grew in scale, resolution, and weight—especially bass weight, which turned boomy with some CDs. Now, with the Krall-Bennett CD, I could hear piano hammers striking piano strings. Tony Bennett's voice was more detailed, the sense of its freshiness more vivid; his and Krall's voices were better balanced with each other. Ullrich's disc of Mozart sonatas also revealed the unique sound of hammers on strings, and weight and tonality also improved, creating a massive soundstage and a more forward sound. All in all, I was surprised at how different the ATC's internal preamplifier sounded from my Shindo Allegro preamps. Warmth remained, as did the ATC's luminous translation of digital material, while resolution—and, to a larger degree, weight and soundstage height—improved by considerable margins. 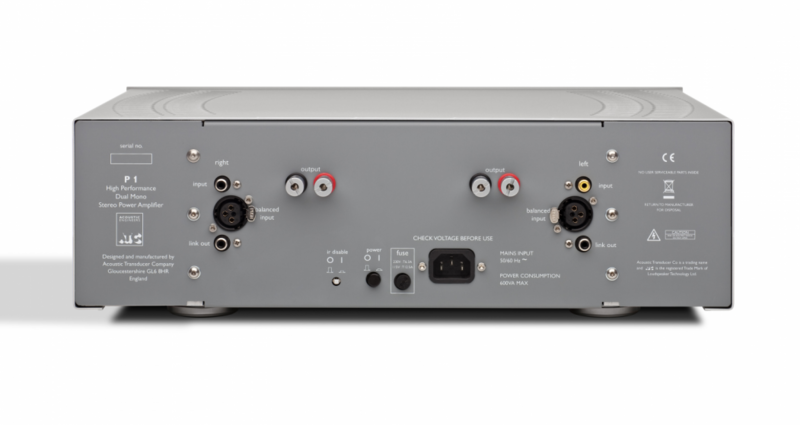 You could ea sily spend $2000 apiece on a CD player and preampliffer and not get the construction quality, ease of use, and fantastic sound of ATC's CDA2 Mk2 CD preamplifier. I was shocked when the ATC went head-to-head with my more expensive Shindo preamp and bettered it in some regards, and it worked very well with my tubed power amplifier. With ATC's CDA2 Mk2 offering pleasing tonality, resolution, and dynamics, a versatile feature set, and rock-solid build, all for a decent price, it's impossible not to crown it with the highest recommendation. It can provide a fine starting point for a solid high-end system. This is a startlingly immediate system. The 44.1 rip of Emiliana Torrini’s Gun has a presence and visceral ‘she’s right there in the room’ quality to it. Her staccato intakes of breath are vivid and absolutely real, while the gradual increase in scale and volume to the track is handled with absolute imperiousness. And the bass… the low end on offer here is exquisite. The technical arguments for why active speakers can generate better bass than an equivalent passive design are worthy and entirely accurate, but are no substitute for listening to what this system is really capable of. The sledgehammer low-end of Scratch Massive’s Waiting For A Sign is simply awesome. If you want bass that you feel as much as hear, there’s very little else available anywhere near this price that can out slam this setup. What sets it apart further is that there’s nothing I’ve ever heard anywhere near this price that combines this gut-wrenching impact with the agility this system possesses. As a combo, it is utterly addictive. The role that the CDA2 Mk2 plays in all this is subtle, but effective. It gets all of the basics right with a wonderfully linear volume control and a total absence of unwanted noise, but beyond that the quality of the digital-to-analogue section is entirely noteworthy. It takes a little time to appreciate quite how good it is because it is so natural and unobtrusive, but it allows this system to demonstrate truly lovely tonality at times. The CDA2 Mk2 delivers it with real drive and a wide open view of the layers of the recording, charging through the album with such verve that it seems to be over almost before it’s started. With a wide-open sound, masses of detail and unrestrained slam, it makes a fi ne partner for power amps and active speakers alike, getting on with the all-important business of delivering the music without adding or subtracting anything. Electrical noise is the enemy of digital audio as products like the Innuos Zenith SE prove and ATC have paid close attention to keeping it as low as possible by building a new power supply with nine extra voltage regulators above those in the original CDA2. ATC has also refined the in- and output gain stages with discrete op-amps that provide buffering of inputs and a true balanced output from the XLR connections, the output stage itself being biased in Class A. 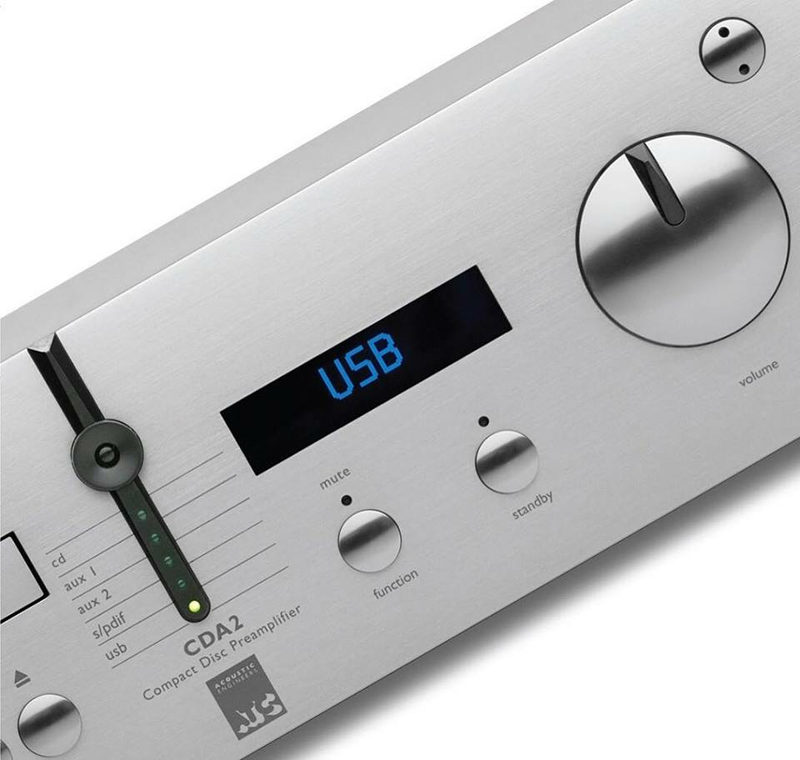 As an analogue preamp the CDA2 Mk2 is very strong as well with excellent bass extension, a very open presentation and very good image depth. It shares the coherent demeanour of the digital input and adds a relaxed quality that helps to bring out the musical message extremely well. The results were inspiring, a combination of authority, articulacy and rock solid timing made for a musical experience that was nigh on addictive. The crisp resolution of the CDA2 Mk2’s digital section allows the lumbering rhythms of ‘Have A Cigar’ to power out into the room, while making every detail of the lyrics and recording plain to hear. HI-FI NEWS VERDICT: The music centre, ATC style: the CDA2 Mk2 may have all the air of ‘a horse designed by committee’, as it does so much, but this is more thoroughbred than camel, with a wide-open sound, masses of detail and unrestrained slam. It makes a fine partner for power amps and active speakers alike, getting on with the business of delivering the music without adding or subtracting anything. If it does all you need, it’s a bargain.. Andrew Everard, Hi-Fi News, April 2018. - All discrete Input and Output gain stages. For elegant simplicity, we can’t think of anything that would outperform the new CDA2 Mk2 driving a pair of ATC 19AT / ATC 40A active speakers. 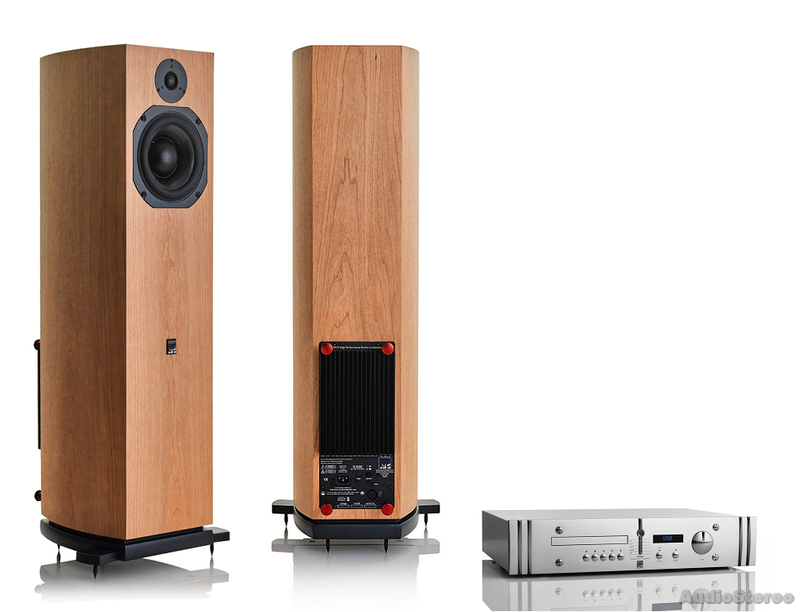 Meanwhile, those seeking a more traditional system approach should be urged to audition the CDA2 Mk2 partnered with ATC P1 / ATC P2 power amplification and passive loudspeakers. Maximum Output Level : Phono 9.2V r.m.s, XLR 18.4V r.m.s.